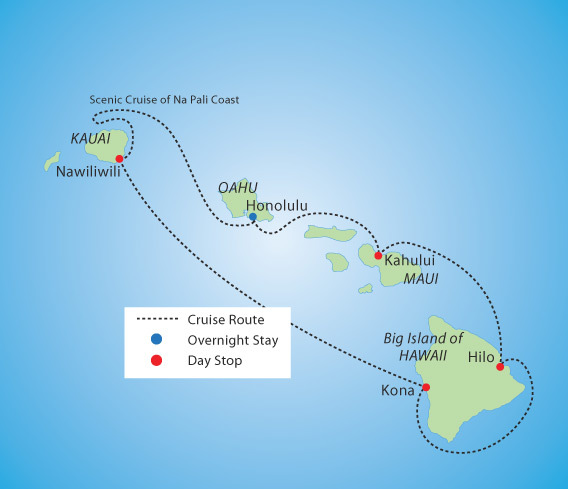 7-Night Hawaiian Cruise: Aboard Norwegian Cruise Line’s Pride of America. All meals on board the ship are included. 4 Nights Hotel Accommodations: On land portion. Accommodations based on twin/double occupancy in a moderate hotel in Waikiki. Sightseeing: and special events as listed on Oahu. Service: A professionally trained local YMT Tour Director who is knowledgeable on the area and will provide you with a wealth of information during your stay on Oahu. Their friendly service will make your trip a memorable experience. *Web prices reflect instant rebate pricing. FREE Specialty Dining Package available with Ocean View and Balcony cabins only. Click here to view offer details. Offers valid for new bookings only and subject to availability. Offer may be cancelled at any time. Please follow the steps below to price your vacation with YMT. When you complete all the steps, please click "Reserve" next to the date on which you would like to travel. 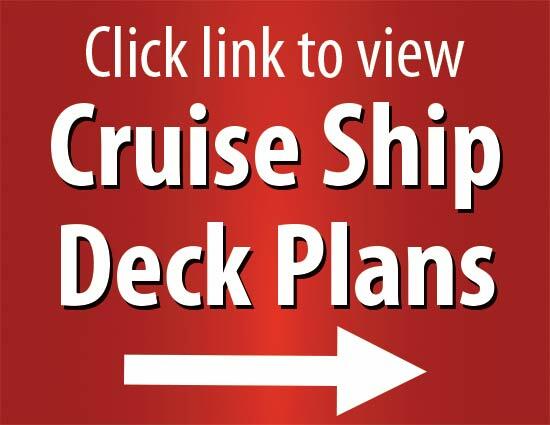 Click here to view Norwegian's Pride of America deck plans. 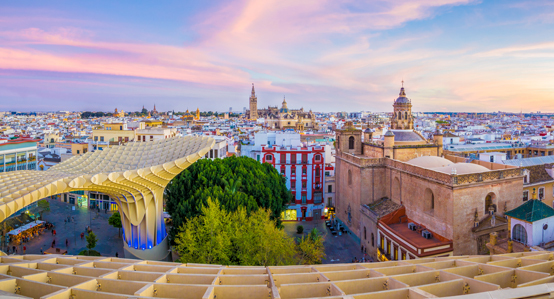 Content that you may read on Norwegian's website may not be applicable to your tour, please speak with a YMT Travel Consultant for clarification. This cabin type is sold out, but other cabin types are still available. 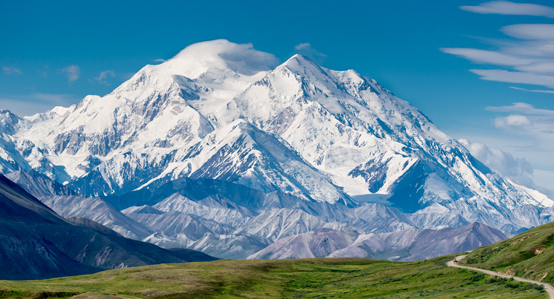 Please select a different cabin type or call a travel consultant at 877-332-6185 to book this tour. Guests arriving in Honolulu who have made their flight arrangements with YMT Vacations, please meet your YMT representative in the baggage claim area for a warm aloha welcome with a beautiful flower lei, and transfer to the hotel. On your first morning in Hawaii, you'll have a Guest Welcome meeting at the hotel, during which your Tour Director will tell you all about the arrangements for the days ahead. Later in the day, we'll travel the short distance to Honolulu Harbor to board Pride of America for the start of your Hawaiian Islands experience. 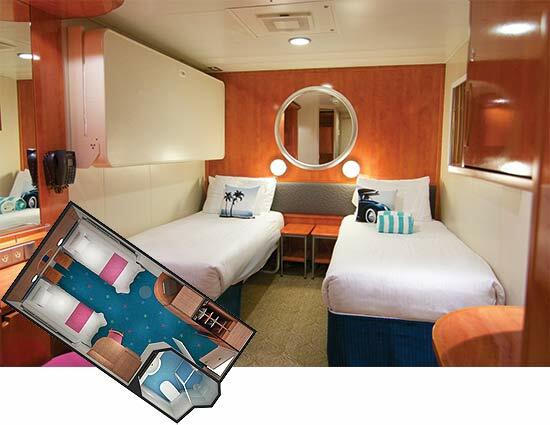 This vibrant, Americana-themed ship offers freestyle cruising and a variety of activities. Whatever your pleasure, a warm and friendly crew is ready to assist you to make sure your cruise is just right. 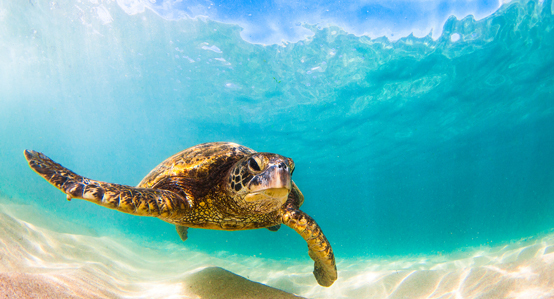 Maui is the second largest of the Hawaiian Islands and you will have almost 2 full days to explore! Known as the "Valley Isle," this majestic island has two main peaks more than a mile high, thousands of breathtakingly beautiful waterfalls and pools, 120 miles of shoreline and more than 80 golden beaches. Highlights include Iao Valley, Haleakala Crater and Lahaina, a traditional old whaling town, full of character, shops and restaurants. After the overnight stay in Maui, you may wish to make the journey to the town of Hana. Drive along the gorgeous winding coastal roads as you experience the natural wonder of Maui! For beach lovers, visit the fabulous golden sand beaches of Kaanapali, where between the months of December and April each year you are almost guaranteed to see whales, without even leaving the beach. Brimming with Hawaiian tradition, Hilo takes you back to an earlier island culture. The town will charm you with its quaint buildings and unique shopping. Hilo is the flower capital of Hawaii, and gardens and blossoms are everywhere. Perhaps spend your leisure day here visiting Liliuokalani Gardens, King Kamehameha I Statue, Rainbow Falls, Akaka Falls, or Hawaii Tropical Botanical Garden! Welcome to Kona! Spend your day exploring the "Gold Coast" in a wide variety of ways – riding in a horse-drawn carriage, skimming the seas in a glass bottom boat, snorkeling below the waves. If you prefer to keep your feet on dry land, you may choose to take a leisurely walking tour through historic Kailua Town or one of the many island coffee plantations. This verdant little isle exudes peace and tranquility. Nature has been good to Kauai, creating craters, mountains, rivers, canyons and glorious stretches of palm-fringed beaches. Nicknamed the "Garden Island" Kauai is the least populated and developed of the four main islands. The Island's spectacular scenery including canyons, cliffs and waterfalls, makes it a firm favorite to take a helicopter flight-seeing tour of a lifetime! It's no wonder that an impressive list of Hollywood productions have used this emerald island as a setting. The Na Pali Coast, featured in the film Jurassic Park and many other movies, is one of the most distinctive geological features of Kauai. Kauai is famous for Waimea Canyon, known as the Grand Canyon of the Pacific. This morning you will go on the most popular tour in Hawaii – the included Pearl Harbor and Honolulu city tour. We head first to Pearl Harbor where we take a Navy launch out to the USS Arizona Memorial. Explore the visitor center, view the 23-minute film and see the USS Bowfin submarine before we head off to see the sights of Honolulu. Set in a real dormant volcano, we visit Punchbowl Crater, home of the National Cemetery of the Pacific, before continuing onto downtown Honolulu. You will see the State Capitol and Iolani Palace. Leisure day - you're back in Oahu and these days are yours to do as you wish. Your Tour Director has arranged a variety of popular optional tours. Whatever you do, you'll have plenty of time to enjoy the famous Waikiki beach and shopping on Kalakaua Avenue. Leisure day - during your stay in Waikiki, why not visit the Hawaii Army Museum, a museum that tells the military story of Hawaii, from ancient times to the Gulf War and the War in Iraq. Admission is free. Transfer to Honolulu airport for your flight home. If you are on a later departing flight from Honolulu, we do offer an optional Island Tour to show you Oahu's highlights before returning you to the airport. Inside Stateroom (Category IA): Deck 4, 9, 10These staterooms contain two lower beds that convert into a queen-size bed and additional bedding in some to accommodate more guests. And because they are mid-ship, you&#39;ll have easy access to all the exciting activities and delicious dining options on board. Oceanview Stateroom (Category OA): Deck 4, 7These Oceanview Staterooms have two lower beds that convert into a queen-size bed as well as two pull down beds. Because they are mid-ship, you&#39;ll have easy access to everything on board. Plus an incredible view from the big picture window. 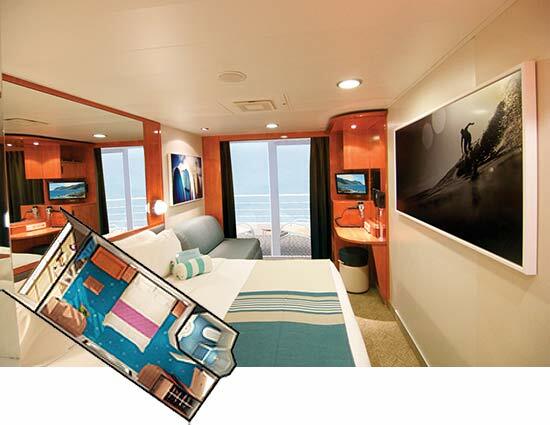 Balcony Stateroom (Category BA): Deck 9, 10These Mid-Ship Balcony Staterooms are located on a middle deck and offer easy access to great restaurants, activities and more. 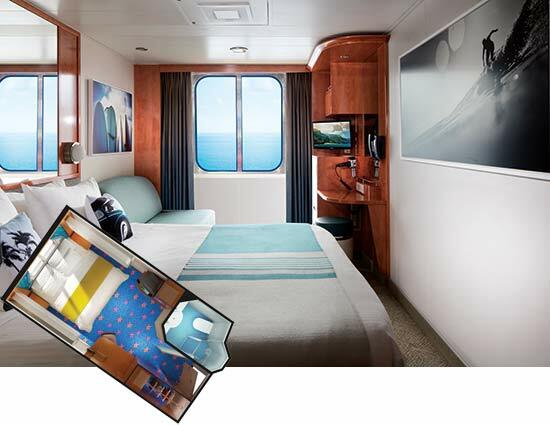 This stateroom includes two lower beds that convert to a queen-size bed, a convertible sofa to accommodate more, a sitting area and balcony with fantastic views. The islands of Hawaii encompass the ultimate vacation. Each offers an amazing mix of beautiful beaches, magnificent views and exquisite cuisine. Visit the four major islands of Maui, Hawaii (also known as “The Big Island”), Kauai and Oahu from Norwegian Cruise Line’s incredible Pride of America. We were well pleased with the Hawaii Cruise and Tour, and would recommend it, especially for special occasions, such as our 60th anniversary. Everything is well organized, convenient, and comfortable, to allow maximum use of time.